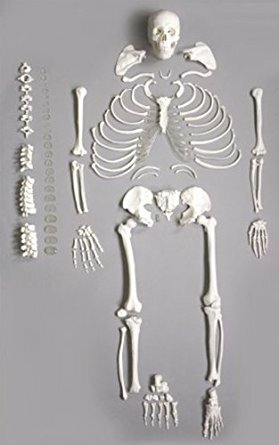 We are dealing in ARENA High Quality Disarticulated Skeletons. The bones of the vertebral column are loosely strung with nylon in their correct sequence and orientation.Some models have one loosely articulated hand and foot to allow the carpals,metacarpals,tarsals and metatarsals to be individually examined. All disarticulated skeletons now come with a sturdy partitioned storage box.